Zoot Sims was born in Englewood, California from 1925 to 1985. He became a saxophonist longing for Leicester Young and was called the strongest saxophonist by the swing style. There is a person who says the feature of his play in one word, "unsophisticated". In other words, "In a manner of speaking like a rural farmer in the country, he plays and organizes it into a phrase in a rhetorical fashion, so that he can hasten one word per word.He plays quite a high speed performance, but listeners do not feel fiery. He liked the sound of a high tone, hence, later, in addition to tenor saxophone, soprano saxophone also began to blow. But as a general image, his saxophone sound is thought to have a heavy line and thick weight like a massive back. Therefore, he is called to "warm". That is opposite "cool". He played a style in cooperation with the ensemble due to the influence of the experience he played in the big band at a young age. His performance was to make the concept realize as a whole while making full use of co-stars and accompanists. He often repeats similar clauses in the same way. I think he is not an improvisational genius. He cannot always create amazingly wonderful phrases in ad lib. So, he plays like stacking so rich phrases over and over again. By repeating the phrase, he creates a rhythm and creates his unique propulsive swing. By repeating the same phrase he listens to his phrase. When familiar phrases ride on his unique straight and swinging grooves, the listener has a sense of close affinity that will be invited to his groove. I think that is his characteristic. That is his "unsophisticated ". Repetition is continuation. Stability requires stability. The big appeal of jazz is the improvised thrill of A Drive, or the unreadable fun of the development which does not know what will come out in the future. The charm of such jazz is incompatible with stability. Therefore, those who think that the thrill of improvisation is the appeal of jazz will feel monotonous, the stability feeling born by repeated phrases. But I think that it is the source of his warm taste. Zoot Sims is not a type of musician who creates something innovative by pulling members solely as a leader. Rather, he constantly relaxed the listener with a stable playing. With "Down Home" you recorded on the Bethlehem Label, you will be able to know about his characteristics. Some say that his performance is monotonous. I think the whole of their performance in this album is unknown overflowing with a nostalgic swing feeling. The big factor creating this swing is Danny Richmond's heavy drumming and Dave McKenna's swing-like piano. This rhythm section is fueling Zoot. 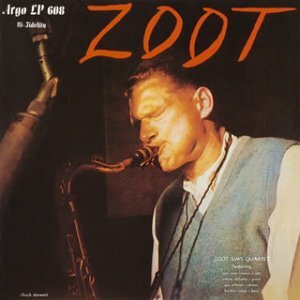 In contrast, Zoot integrates with the band like a big-band soloist, playing Swingy phrases in ad lib, considering the balance with the back, which is responsible for that solo part. After all, since he was 15 years old, he has worked as a professional in the Swing Jazz Big band. He creates and plays a phrase so as to assemble a voiceless sound one by one. You will not think of his performance as a melody that the phrase flows to the sideways, and will treat it as a step of the vertical rhythm. And you will get angular impression. In addition, you will unconsciously transfer your attention to the rhythm of the bass and drum, and you will hear strongly the nostalgic swing rhythm. You hear that rhythm will again fuel Zoot. Here, you get stuck in the circulation. Among them, you will find that Zoot's performance is naive and idyllic, but keeping the tension without relaxation. 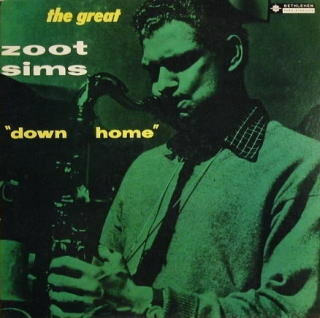 Zoot Sims left a lot of recordings. I admire that he plays steady play each time with less waves of discomfort through those recordings. To tell the truth, I think it is a terrible thing. Because even though jazz is a music characterized by a single improvised performance, jazz musicians do not always come up with a good phrase every time. Moreover, if the performer records the performance, the recorded performance will remain in posterity. If people had the last recording, of course, what is this recording compared to last time? They expect more than that if the last recording is wonderful, this time of course. They will say that this recording is disappointing if it is on the same level as last time. So, the musicians have to play more than the last time, they will be overwhelmed with excessive pressure and will be recording. So, he constantly keeps stable results every time. I think it can be said that it is actually a gift of extraordinary talent or hidden effort. But I think that he always had the dangers of obsolescence against such stability. Even if I try to recommend a masterpiece to the person who is going to listen to his album from now on, I will be bothered to choose. Because his albums are similar in the end, so they do not change so I get lost in picking up one of them. Such a thing is impossible except when choosing Zoot's album. So, if you want to distinguish between the differences in his albums or to make the likes and dislikes for them clear, it will decide the membership and organizational changes other than him. This recording was his first leader album. In the formation of one horn by his tenor, it is the same form as "Down Home". Participating members are different from "Down Home". I felt a more sophisticated impression with the sharp feeling of the playing by this member. Especially for piano's comfortable sound, someone will feel it noisy with metallic feeling. The remarkable appearance of his character is the second number, "The Man I Love", the slow number. His play here seems to refuse to listen emotion. There is also no dust in the place where it is used. Some people say such a performance is masculine. He keeps the form of melody and music strict enough to say it. He is particularly concerned about maintaining the sense of rhythm, the entire groove. Even though he is a slow number like this song, I value the advancement of the performance forward by maintaining a stable rhythm rather than singing plenty of melodies. If you listen to this performance, you will never partly play in the performance, you will experience a pleasant swing feeling born from a stable rhythm while keeping a certain distance from the performance. You will never leave the music at all, keep keeping the exquisite sense of distance that you cannot say that you will not leave music. So, you think you can listen to it all the time without stopping the recording endlessly. That applies to his ad lib. You rarely find out about his improvisation, especially the wonderful phrases and surprising developments, the sharpness of the sharpness of improvisation itself. You are caught up in the rhythm that is created by repeating similar phrases as his improvisation continues. So, you may listen to his phrase like a theme variant. So, if you pay attention to the phrase partially, you will be unable to get on the rhythm. That's why his saxophone does not stand out partly like blowing. He always keeps stability and is blowing lightly with a margin with 80% power. Its true bone appears in good tempo numbers such as "9: 20 Special", "55th Street", "Bohemia After Dark". 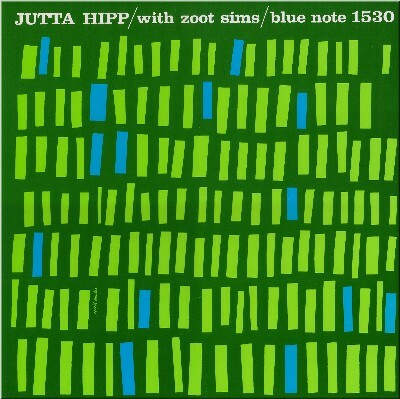 It is under the name of a German female pianist, Utah Hip, but the listeners are Zoot's tenor saxophone, and Zoot is the leading role of album. 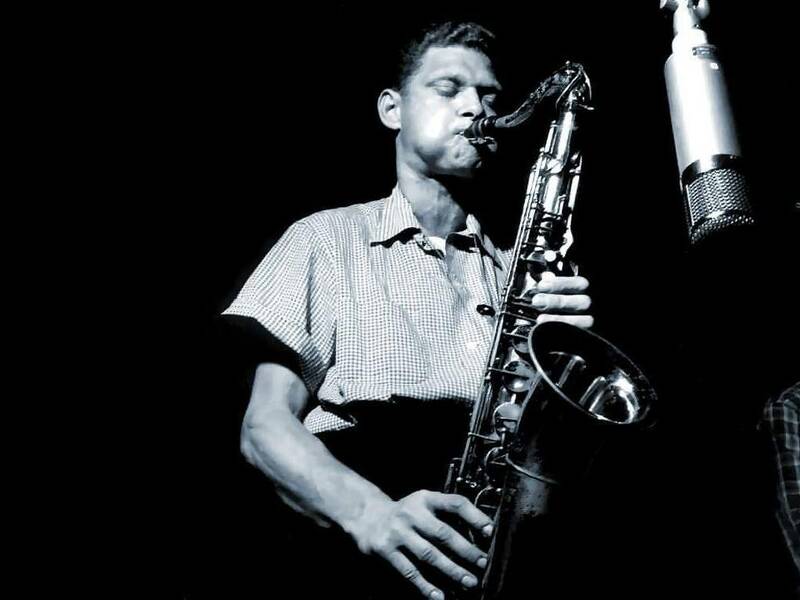 Zoot Sims is not an innovative type, but a robust player who adheres to his style stubbornly. As a tenor saxophonist, he was influenced by Leicester Young. His best feature lies in making the listener fun, or getting through. "Just Blues" at the beginning is an impressive performance feeling of the performance produced by the propulsive force which is mellow but powerfully forward. In particular, the second song "Violets for Your Furs" is a famous performance. I have the following comments about this performance. "Even by listening to this one song, you can easily see the skill of the tenor saxophonist, Zoot Sims, for example, let's look at John Coltrane, also a tenor player who is playing the same song. Is playing the "Sumire in the court" at the premier leader work "Coltrane" at Prestige, this performance is also regarded as a masterpiece and continues to be loved by many jazz fans.There is also support for Red Garland's piano Although it is the same tenor player, Zoot and Coltrane 's speech is quite different.If you listen to this difference, the qualities of both are emphasized and interesting.The Coltrane' s " "A violet on a coat" is as if a simple country youth is speaking a woman for the first time in her life Tadadado is freshly felt and this clumsy ballad expression will rather hit many listeners, but what about Zuto ... What is already "Zuto's mouth" in this performance An eloquent speech that kept the points pressed, as if the eldest man who had hinted a hundred women, as lightly as everyday extended lines, without any seriousness. The difference in this speech may be due to the qualities that were born, and there may be differences in experience values. Zoot's storyteller is extremely smart and smart, even though there are defects mixed in trace amounts. "